I don’t typically service portable transistor radios, but I make an occasional exception for something especially unique or interesting. The Telefunken Bajazzo Sport 201 is no exception – it’s a high end piece of German engineering, a great performer with unique styling. These radios make great portables, with surprisingly loud volume from such a small speaker and very good audio quality. They also had provisions to be mounted to a car’s dashboard. I’m told certain 1969-1972 Porsches might have had those docking stations installed. I hope the owner find one to complete the rest of the set! It’s got a beautiful dial face with clear markings, and tellingly, this one is a U.S. Export version! You can tell because the FM band goes the full U.S. range, 88-108 MHz. Back then, the German FM band stopped before ours. It’s built very accessibly, too. 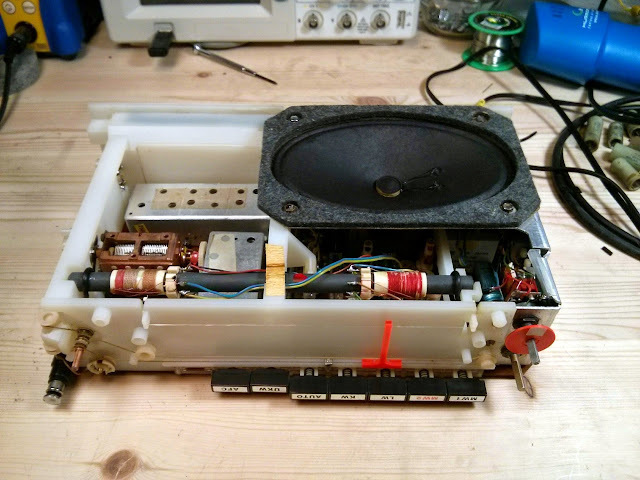 Remove 4 fasteners and the speaker pops out on short leads which allow it to be moved. There’s only a handful of electrolytic capacitors, the rest are film domino caps or “polystyrex” polystyrene film capacitors which don’t go bad. This one has been serviced once before. For some reason, this 0.22 uF capacitor has been shorted across. Everything appeared to operate normally, though. 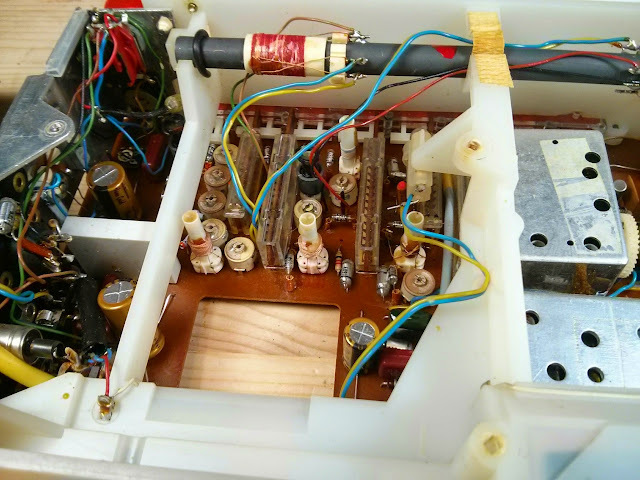 The previous service replaced one electrolytic capacitor, as well. There were 5 electrolytics in the unit in total, four filter capacitors and the tiny one was a 0.5 uF electrolytic capacitor which was replaced with a film cap. It came in for mostly preventive maintenance and an alignment. 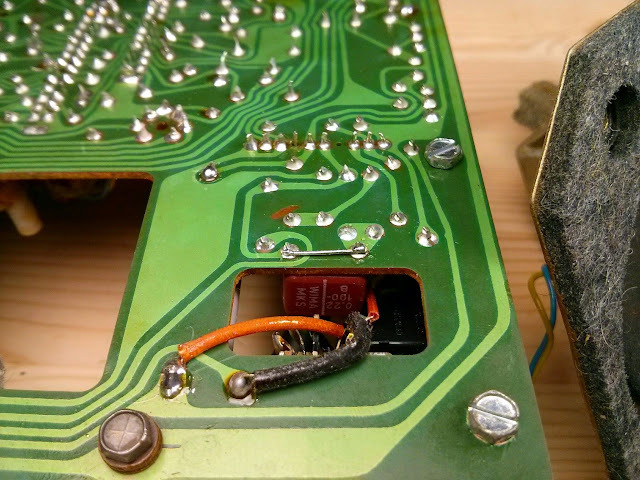 Electrolytic caps were all replaced with Nichicon Fine Gold, and the tiniest was replaced with a polystyrene film 0.47 uF 250v capacitor. 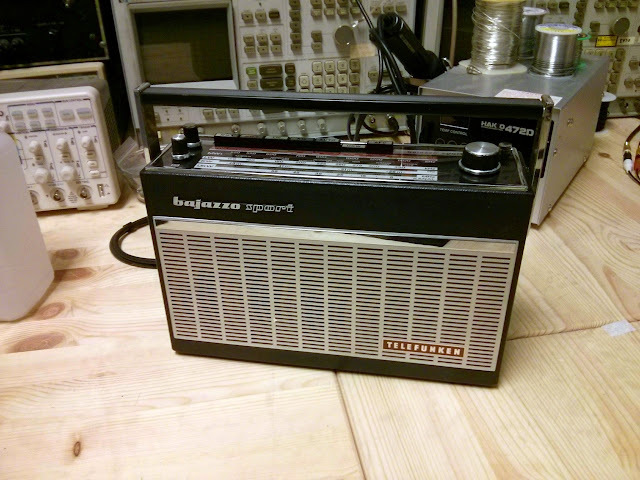 There appear to be two radios which share this model number, with slightly different band coverage. Shown here, the German schematic. The trimmers for the FM section are all identical but otherwise the adjustments are all different. 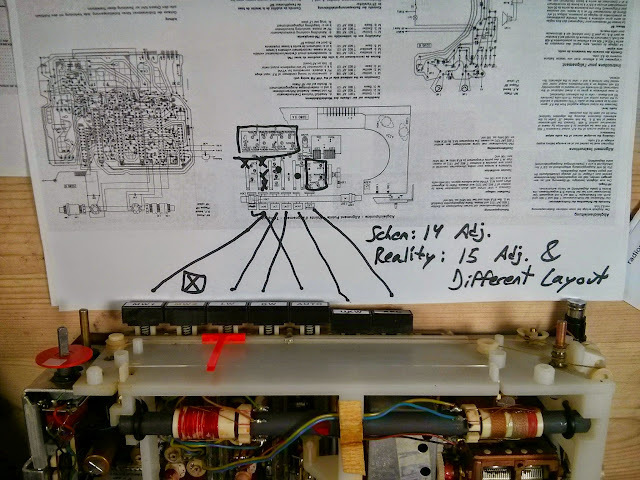 I found schematics and partial instructions for both, but only the German version had full alignment pointers. Unfortunately, either this version or this board revision had differently arranged trimmers for most functions to the point where I couldn’t complete the alignment. I did, however, use the distortion analyzer to align the FM for best performance and adjusted the dial tracking. Ultimately, while this one didn’t receive an alignment for Shortwave or Longwave, that’s not really the end of the world. There’s nothing broadcast on Longwave except for some aircraft navigation beacons these days, and with the decline of shortwave, it’s unlikely the 3′ telescoping antenna would be able to pick up much anyway. With all that, back in the case! Looks and works great! 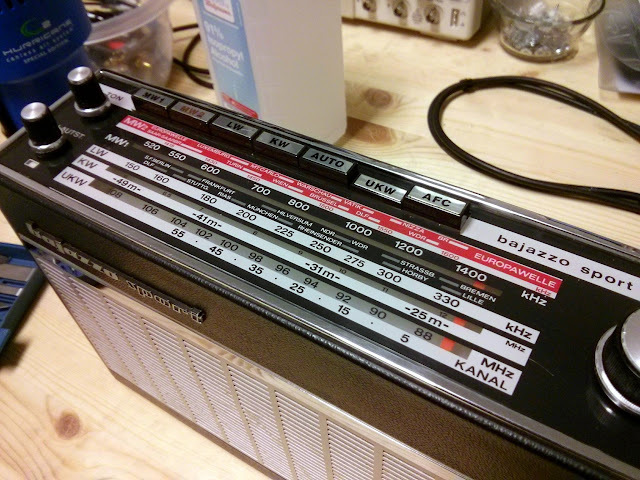 Another great piece of radio history set up for a long future. 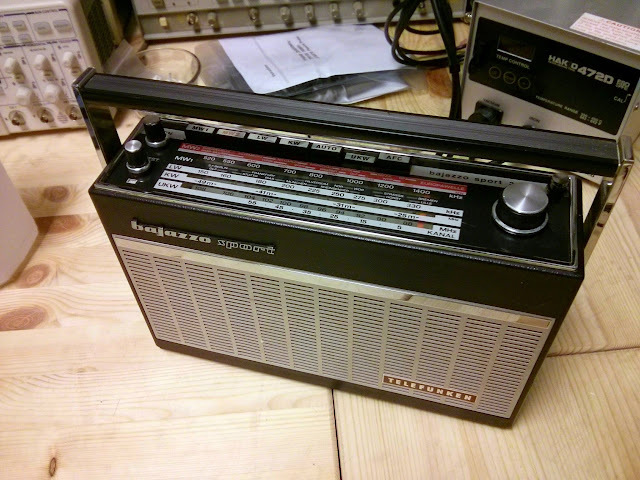 This entry was posted in Electronics, Projects, Radio, Vintage and tagged 201, bajazzo, bajazzo sport, portable radio, Telefunken, transistor radio. Bookmark the permalink.